The Division of Natural Areas is dedicated to the protection and proper management of native plants, animals, and natural communities across Tennessee. Along with managing a state-wide system of natural areas, the Division of Natural Areas is a lead authority regarding the location and ecology of Tennessee’s rare species… Division of Natural Areas professionals focus their efforts on searches, monitoring, conservation, restoration, and management of Tennessee’s native species and plant communities. Data gathered by division biologists help guide the Bureau of Parks and Conservation in protecting Tennessee’s special places as state parks or natural areas. We also assist other land-management agencies, conservation organizations, and individuals to determine proper management of plants and animals on Tennessee’s protected lands and private property. Furthermore, rare species data maintained by the division are used by individuals, companies, and public agencies in the environmental permitting and review process. From its beginning in 1937, Tennessee State Parks were established to protect and promote the unique natural, cultural and historic resources of Tennessee. The public interest has also been served by a variety of benefits for citizens and communities produced by our state park system, promoting stronger communities and healthier citizens across the state through diverse resource-based recreation while conserving the natural environment for today and tomorrow – preserving authentic Tennessee places and spaces for future generations to enjoy. As stewards of the resources in our parks, we seek to manage Tennessee’s state parks in order to preserve and protect valued resources and to provide a balance of services and benefits for the enjoyment of the people. 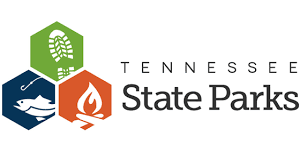 The mission of Tennessee State Parks is to preserve and protect, in perpetuity, unique examples of natural, cultural, and scenic areas and provide a variety of safe, quality, outdoor experiences through a well-planned and professionally managed system of state parks.